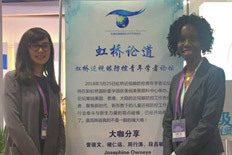 Two faculty members from the University of Pikeville-Kentucky College of Optometry (KYCO) – Josephine Owoeye OD, MPH, and Xiaojing Yu, OD, PhD – were invited to lecture at the International Masters Class in Optometry Education Series and the International Forum of Young Scholars in Optometry. The event was held at the New Hongqiao International Medical Center in Shanghai, China, and sponsored by Shanghai Meishi Meijing Vision Care Group. Yu and Owoeye lectured on the topics of visual development, management of refractive errors and abnormal binocular vision conditions as well as facilitated a four-hour clinical skills lab session. 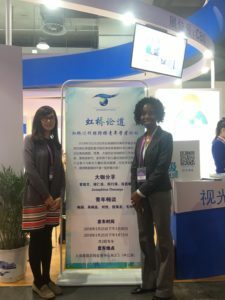 The courses were designed to provide vision care providers in China with a comprehensive foundation to further strengthen their delivery of pediatric eye care. In addition, both Yu and Owoeye provided eye examinations for several young children who traveled more than three hours to seek their opinions and expertise. Yu facilitated and coordinated the visit to China. The event sponsor, Shanghai Meishi Meijing Vision Care Group, provides specialized services in primary vision care, pediatric vision care, orthokeratology, special contact lens fitting, vision therapy, refractive surgery and dry eye management for the Big Shanghai Area.